It has been a while since we wrote a life-update here on Goats On The Road and I figured now was a good time to do so. 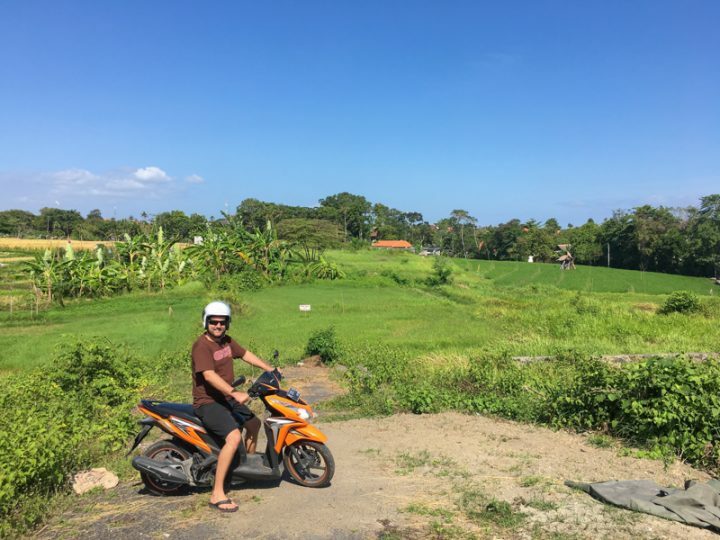 If you’ve been following the blog, Facebook or you’re subscribed to our newsletter, you’ll know that we’ve spent the past 3 months living in Canggu Bali. While Dariece and I do typically travel for most of the year, the rest of the time we usually spend living somewhere, laying down temporary roots and getting some work done. 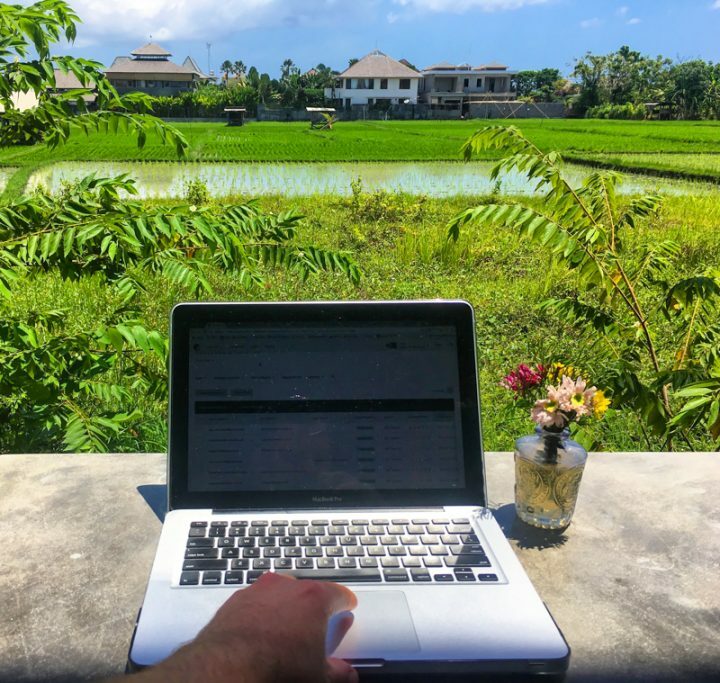 These days, Bali is quickly becoming the new capital of digital nomadism, online entrepreneurship and remote work. 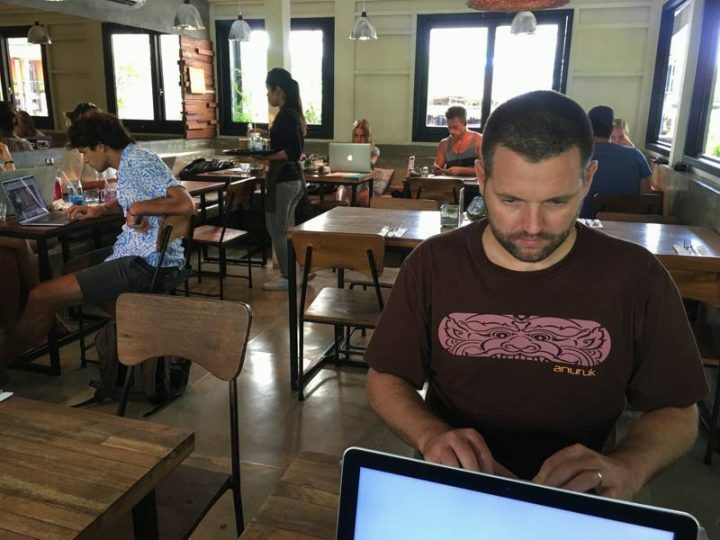 With a decent visa regime, blazing fast internet, excellent restaurants, a good selection of long-term accommodation options and all the amenities one could ask for, it’s no wonder that this Indonesian island is slowly surpassing Chiang Mai as the new base for location independent workers. 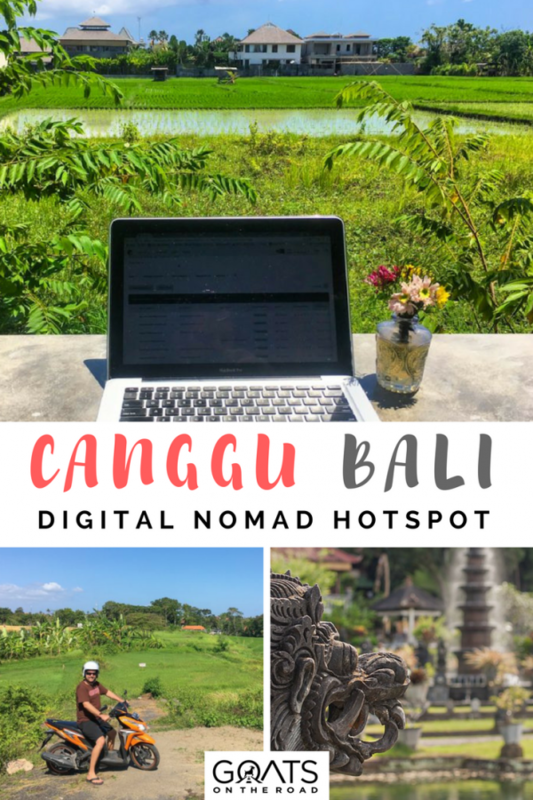 We had heard so much about the online atmosphere of Canggu and we figured, after nearly 10 years since our last visit, it was time to return to Bali, but this time as temporary expats rather than travellers. 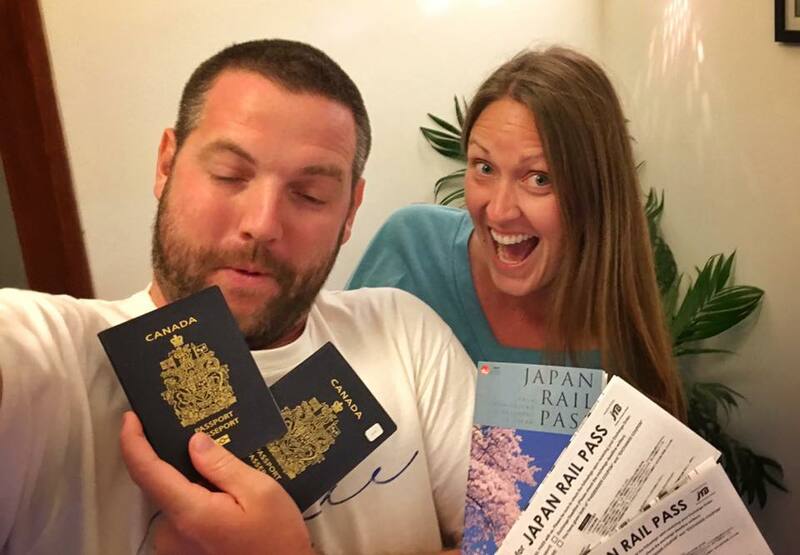 Dariece and I both love living somewhere and working on our blog almost as much as we love travelling. Goats On The Road is our baby and we do enjoy waking up each morning, making a nice cup of espresso coffee and sitting down to work for a few hours on our laptops. That is why we chose to come to Canggu. Not only is it a beautiful place to live, with small pockets of rice paddies blanketing the terrain in brilliant greens, breathtaking beaches along the coast, intricate architecture, friendly people and a unique culture, it’s also excellent for work. We have quite a few things that we want to set up on the website and it has taken a considerable amount of time to do so. In fact, we spent 2 months working in Thailand prior to this, so in total it has been nearly 5 months of us being relatively stationary and we’re still not finished our current goals on the site. 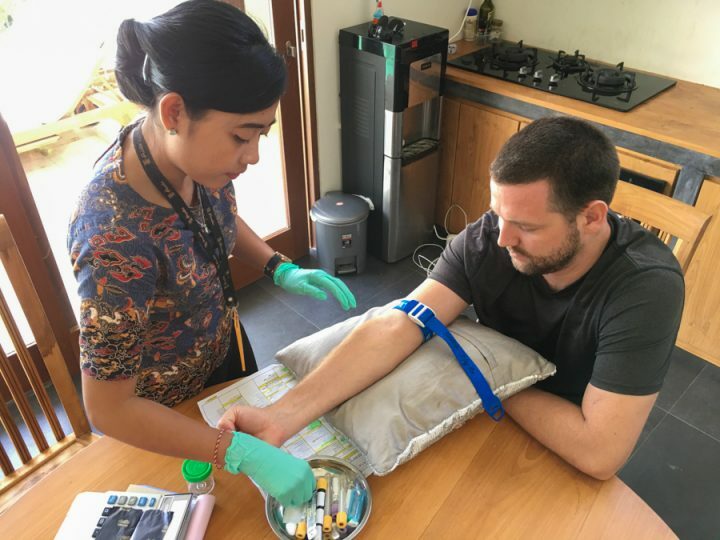 One of the main reasons that we didn’t get as much work done as we had hoped is that our stay here in Bali was broken up for numerous reasons. First, I went away on an epic scuba diving trip with the Indonesian tourism board and Dariece (as a non-diver) stayed back in Canggu. Then we couldn’t find a villa that we liked (more on that later). And finally, Dariece unexpectedly went back to Canada for two weeks. By the end of the three months, we didn’t feel as “settled” as we had hoped. Another part of the reason that we didn’t get as much done on the business as we wanted is the fact that Canggu is so much fun. We met up with our new friends Tom & Anna from Adventure In You and while they are great co-working buddies and we talked a lot about business, they’re also great party friends. On quite a few occasions we ended up having a “pool party” at our villa (really just the four of us drinking wine and dancing to music by the pool) and we had a blast. As digital nomads and full-time travellers, we really miss having friends. At home in Canada, we had our normal group of friends and our family, who we turned to for fun, companionship and support. Being away from home, our families are still extremely supportive and we’re very fortunate to stay close to them while overseas, but sadly, we rarely (if ever) talk to our friends from Canada. This is why it is always so important to us that we meet up with our nomadic friends whenever we can. Tom and Anna are definitely the newest addition to our worldwide friends and we’ll make the effort to meet up with them again soon somewhere else. This past year, we’ve met up with nearly a dozen of our transient colleagues all over the world. They all part of our new “crew” and we’re extremely grateful to have them. Aside from working on the business and hanging out with friends, we use the time spent living places to deal with the basic life necessities that you can’t avoid (even as homeless nomads ). We had some health issues pop up that we had to work on (don’t worry, everything’s okay), and Dariece went back to Canada to be with a family member in a time of need. All in all, the act of settling in, albeit temporarily, is always good for our minds, bodies and souls. 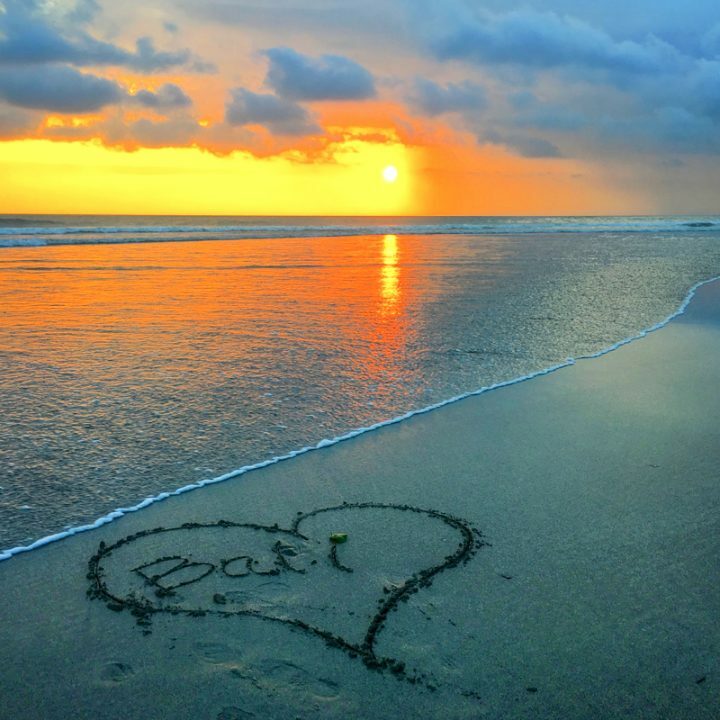 Canggu Bali was the perfect place to do just that. Relax, health up, rejuvenate and develop our business. This place is truly a mecca for remote businesses of all types. We’ve never been somewhere with such an entrepreneurial vibe and it’s invaluable for us as a growing business to learn from others’ successes and to grow in a community of like minded souls. Every single cafe in this town has electrical sockets on every wall and they basically expect that you’re going to bust out your computer and plug away for a few hours after your meal. Aside from the regular cafes that are well set up for digital productivity, there are also numerous co-working spaces available as well. The difference with co-working spaces is that they typically have ergonomic seating, faster wifi, conference rooms, community events and useful marketing conferences. We only attended one talk at Dojo Co-Working space, but it was great and we learned a lot about SEO there. To become a member of a co-working space, you generally have to pay a weekly or monthly subscription fee, which grants you limited or unlimited access to the bandwidth and facilities. Since Dariece and I typically do the majority of our work from home, we didn’t pay for a subscription, but instead utilized the many cafes and co-working spaces that offer limited time (often 2 hours) for free. Even if you don’t choose to work in a designated co-working space, you can be at pretty much any cafe or restaurant in town and the people at the table next to you will likely be talking about business. You’ll hear the terms “passive income”, “email marketing”, “SEO”, “drop shipping” & “crypto currencies” being thrown around like cliches. 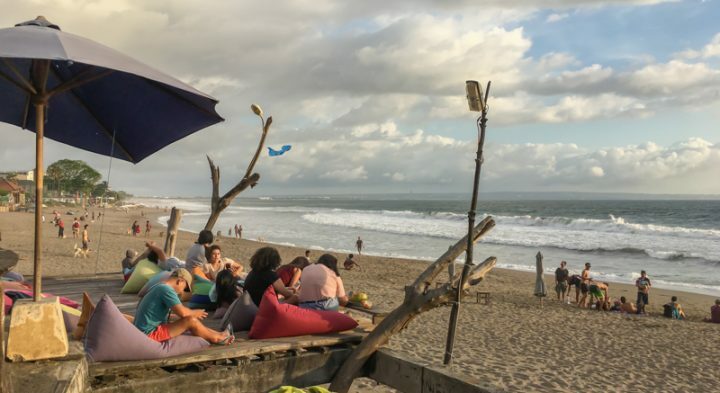 We loved being surrounded with such a positive business energy in Canggu. Needless to say, we learnt a lot while living here and we were really able to begin the steps needed to take our blog and business to the next level. But enough about business. 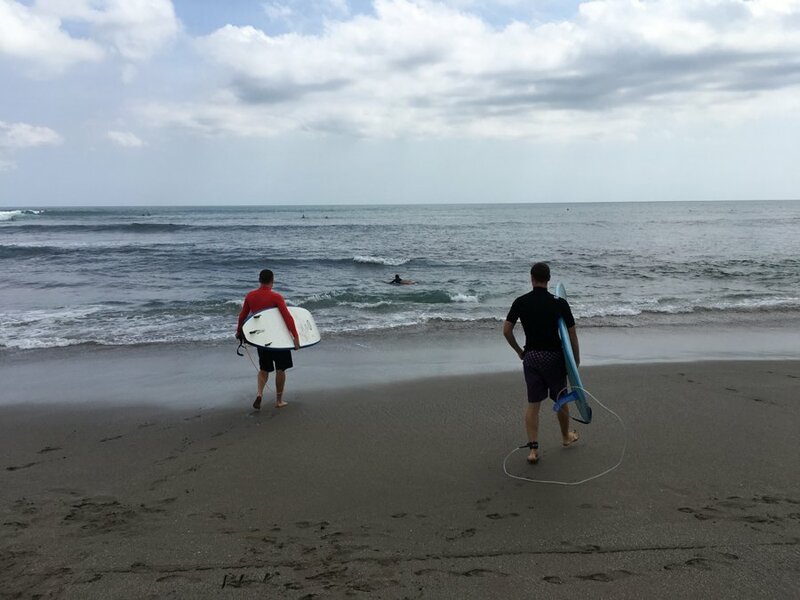 While that was a big part of the reason for us coming to Canggu and it did occupy about 4 hours per day in our lives, we did a lot more here than just work on our laptops! 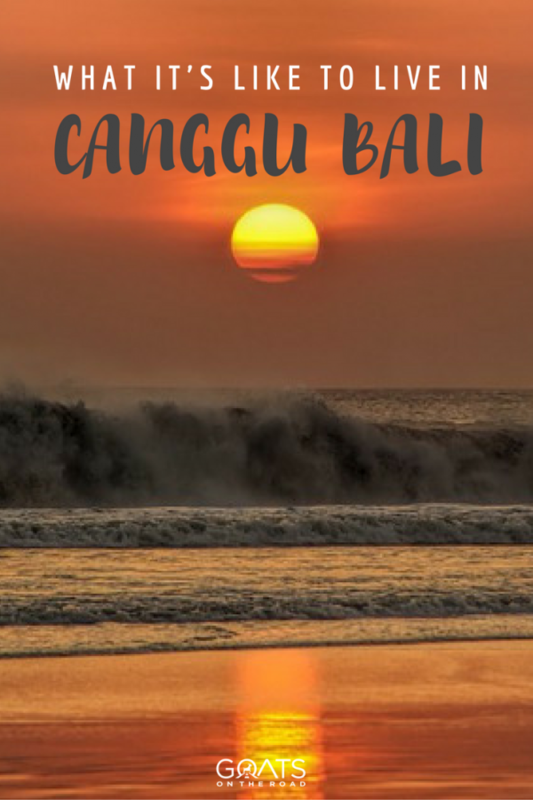 Canggu is set on the southwestern coast of Bali along a massive 5 km long stretch of dark sand that, although technically split into 5 parts, is usually just referred to as “Canggu Beach”. There are dozens of funky little beach bars, beach clubs and cool restaurants set right on the water – most of which have comfy bean bag chairs sprawling out towards the surging tides. Although there are some spots where you can safely go in for a dunk here (which we did many times), it’s more of a surf beach than it is a swimming beach. Nevertheless, the crashing waves and brave surfers make for an entertaining sight while you’re chilling on a bean bag and enjoying a fresh coconut. We spent quite a bit of time on the beach, either people watching, swimming, lounging around, watching sunset or walking on the beach in the late afternoon. We also tried surfing a couple of times and it was a blast. We went out ourselves one time and completely failed, then another day our friends Tom and Anna took me out (Dariece relaxed on the beach) and I actually rode a few waves! We also did some yoga while here, well… let me clarify. Dariece did yoga and I kind of worked out a couple of times at the villa. We were a little disappointed in ourselves when it came to exercise. 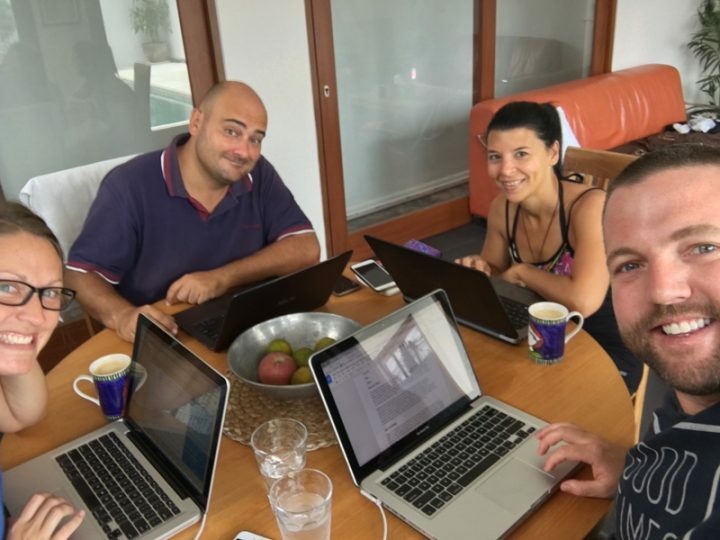 Digital nomads often use their stationary months to “health up”, which is what we planned to do, but in the end there was more work and relaxation than there was excercise. Canggu is packed full of amazing yoga studios, gyms and martial arts centers which we could have taken advantage of while here. Instead, we found ourselves spending more time chilling on the beach, going for walks and hanging out by our beautiful pool at our villa. We spent days searching around Bali for the perfect place to stay and I have to say that we were pretty disappointed with what we found. Most of the places we looked at were older, run down and some even had mould on the walls and ceiling. And we’re not talking about cheap places here. Dariece and I had a pretty decent budget of around $1,500 a month to find a private pool villa, but we were not having much luck at first. We looked on Airbnb, in Facebook Groups and in person around town and we soon came to realize that we were here in total peak season (which runs from June – September). All of the good villas were taken by other travellers and nomads and nothing was available for the full 3 months that we planned to stay. However, after over a week of searching and viewing nearly a dozen villas and houses around Canggu, we finally found the perfect place. 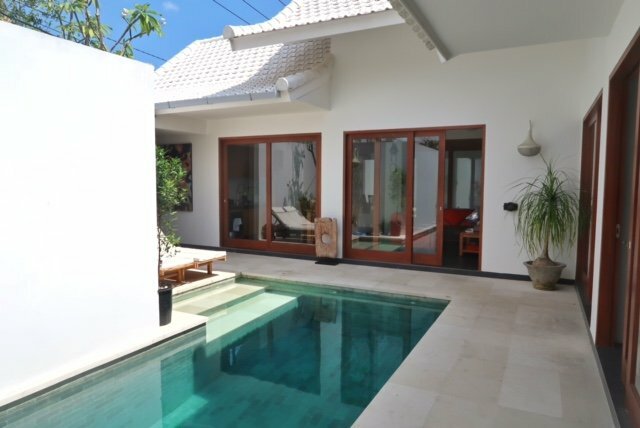 We found a lovely, modern, Balinese style 2 bedroom private pool villa that was within our budget! This place has a massive bath tub, 3 bathrooms, 2 beautiful bedrooms with comfy king sized beds, cleaning service 3 times a week and full pool cleaning service, as well as fast wifi, an oven, stove, and a large fridge. It has been perfect for us! While we were having a hard time finding a good place at first, as the peak season drew to a close, we started to see loads of gorgeous villas suddenly becoming available. The value for money in Bali is amazing. 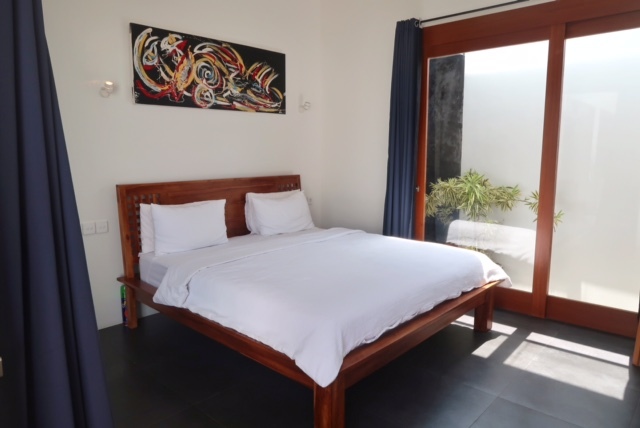 The villa we rented in Canggu would likely be 4 times the price in Canada, and at least double the price even in an inexpensive country like Mexico or Colombia. The value for money, especially when it comes to accommodation and food, is simply fantastic in Bali. The cost of living is extremely low here compared to western countries, and the standard of life for expats living here is very high. 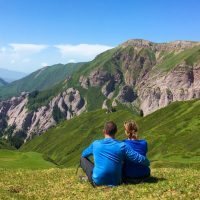 While we did spend quite a bit on our accommodation because we were looking in that price range, we found plenty of other places that were much cheaper. Shortly after checking into our villa, we saw another 1 bedroom private pool villa become available that was just $400 / month! Amazing. We maybe would have stayed there if we hadn’t already chosen our place, but we’re still happy to have had this one. If we had one complaint about the villa, and indeed about Canggu as a whole, it would be the traffic. It’s busy here. Not only is there a lot of motorbikes and cars on the road, but many tourists (and some locals) opt for custom motorbikes that are obnoxiously loud. We opted for a (much) quieter 125cc moped that got us around the area easily and only cost $55 / month to rent! If you come here, we highly recommend that you get yourself a motorbike, but if you’re not experienced, consider using cheap transport apps to get a motorbike and driver to take you around (more on this later). If you come here and manage to find a place to stay that’s tucked down a quiet road, you may not be so annoyed by the traffic, but our beautiful villa was unfortunately set right on a shortcut. During the day at rush hours, we could hear the drone of traffic, but at night, luckily, it was silent. Aside from the traffic, the only real con we have for Bali and Canggu is the pollution. There’s some trash on the sides of the roads, sometimes rice paddies are used as refuse dumping grounds and there’s a considerable amount of burning (though mostly just of rice paddies). In the winter months, from November to February, the pollution is at it’s worst. The locals call this “the garbage season”, with loads of trash and sometimes sewage flooding down from the mountains and onto the beaches. It’s definitely an issue for the area, but luckily there are amazing beach clean-up crews that hit the sand and pick up trash pretty much every week. During the summer months, there is little to no garbage on the beach, the rivers are clean enough to swim in and there is limited burning. The weather here is spectacular and the golden sun gleaming off of the emerald rice terraces is an amazing sight to see. Late afternoon motorbike rides are scenic, evening walks on the beach are romantic and the people here are friendly and kind. Another major pro of Canggu is the food scene. This is probably the single best foodie city we’ve ever been to. I’m not comparing Indonesian cuisine to food meccas like Italy, India, China, Japan and Mexico, I’m simply saying that there are a ton of world-class restaurants in a very small space. Indonesian food itself, though not as good as Thai or Indian, is very tasty and there are plenty of local warungs (basic traditional local restaurants) all around Canggu. But foodies can rejoice because there’s much more than just Indonesian specialties here. 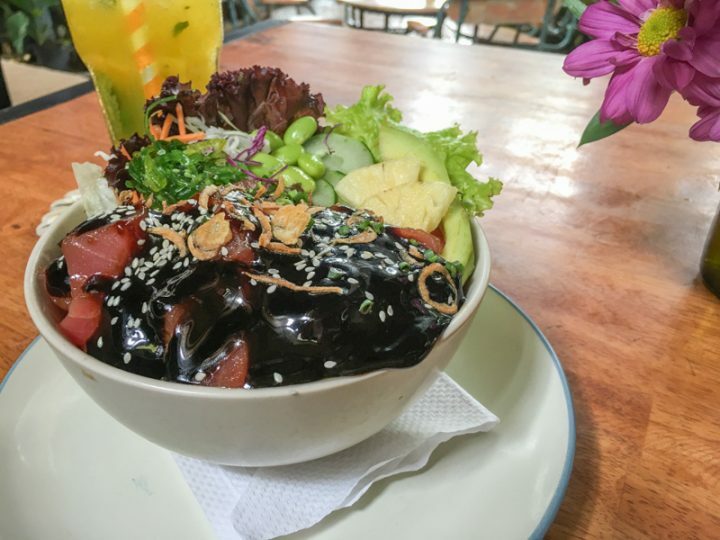 Millennial health food is the main cuisine here and while the stereotypical “smashed avo on toast” features predominantly on pretty much every menu, there’s also an enormous selection of healthy eats from poke bowls and sushi to paninis and salads. You can literally find anything you want to eat here in Canggu. We even found a fantastic Georgian restaurant, incredible Indian food, a delicious Brazilian barbecue and some world-class burgers. To add to the incredible food scene and the online atmosphere here in Bali, there’s a cool app called Go-Jek. Currently only available in Indonesia, this is the single best app I’ve ever downloaded on my phone and the only one that I’m truly sad I’ll have to live without (when we leave Indonesia). 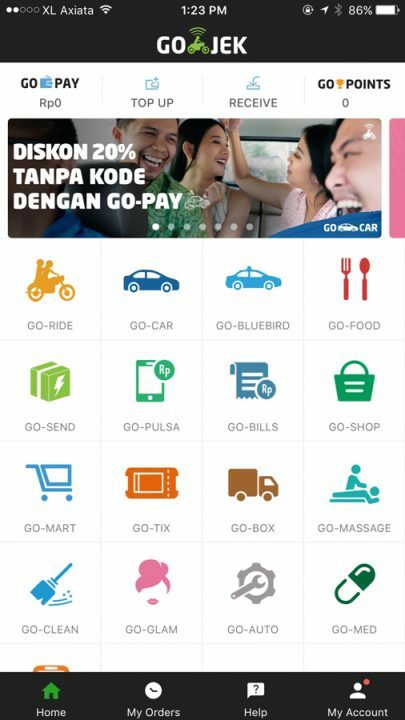 Go-Jek like Uber, but it’s a delivery app for pretty much everything under the sun. There’s Go-Food for restaurant delivery, Go-Shop for other purchases, Go-Massage for massage (obviously), Go-Clean for housekeeping, Go-Jek for a motorbike lift, Go-Car for a taxi, Go-Box for moving day, Go-Glam for makeovers, Go-Med for medical supply delivery and much more. There’s even a separate app called The Dose that allows you to deliver a doctor with IV to your house to administer intravenous medication or hydration! We used a separate company called Probia who came to our villa to take my blood and submit it to the lab for testing. Convenience is on a whole other level in Canggu. I know there are some delivery apps in other countries (including Canada), but I’ve never been somewhere that you can order literally anything you need to your doorstep, and follow the driver on the map as he or she delivers it to you…for a small fee of around $0.50 – $1.50. It felt like we were living in the future. Since we started this travelling lifestyle back in 2008, we’ve been fortunate to have lived in some pretty cool places. We spent nearly a year in a half on the beautiful island of Grenada in the Caribbean, spent a couple months in a casita on Lake Atitlan in Guatemala, we lived on the Mediterranean island of Malta in Europe for 2 months, stayed in luxury pool villa in Koh Samui Thailand for 2 months and we had shorter term apartment rentals in Croatia, Bosnia, Chile, Argentina and Mexico. Of all of these places where we laid down temporary roots, I’d have to say that Canggu is my favourite. We just clicked here. We weren’t travelling around the island, experiencing culture, exploring nature or delving into the local cuisine, we were just living. We set up a life here and despite some minor flaws and speed bumps along the way, Canggu was our home. We had a little bit of a routine, we found many different restaurants that we returned to time and time again, we had a few friends here and just felt like we were part of a community. Overall, our stay here was very good for us. We needed a break and we needed to feel settled, if just for a few months. 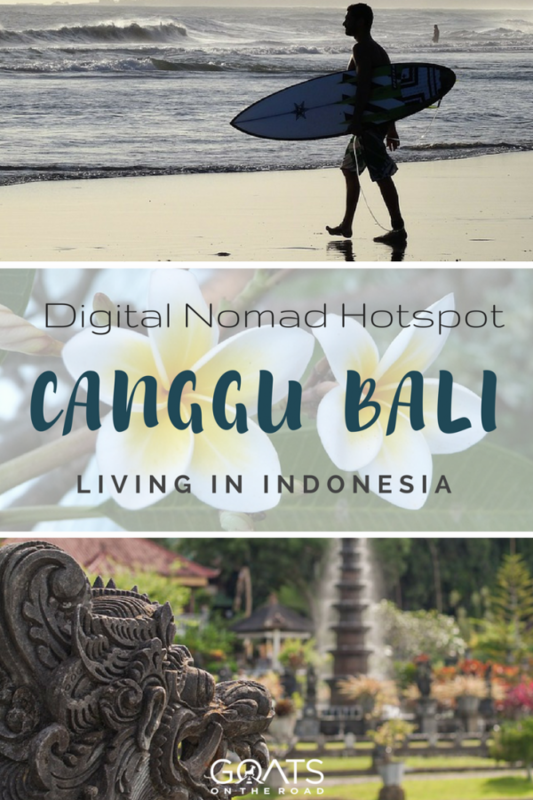 By the time you read this post, we’ll have already left Canggu, Bali. Our next destination is a place that I’ve personally had on my travel bucket list since before we started travelling, JAPAN! We land on my birthday and Dariece has planned an incredible 2 week itinerary for my bday celebration. We’ll start in Tokyo where we’ll spend 5 days exploring the chaotic capital, and from there we’ll head to Kyoto, where we’ll see some of the history and religious architecture of Japan, and finally we’ll be in the mountain villages near Takayama, where we’ll be swimming in hot springs, hiking and exploring the forest (if there’s not too much snow!). We can’t wait to get this trip started and share it with all of you. 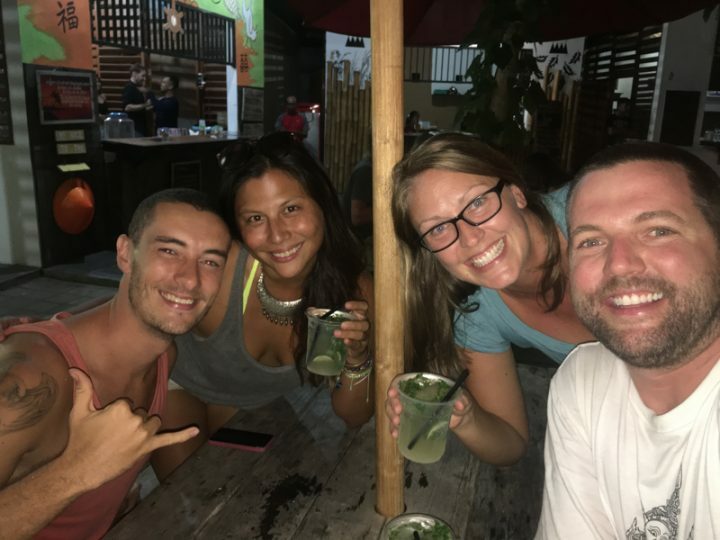 If you’re interested in living in Canggu as a digital nomad or travelling to Bali, Click Here to subscribe to our newsletter (and get a free travel jobs ebook), and don’t forget to follow us on social media to see live updates from our travels! 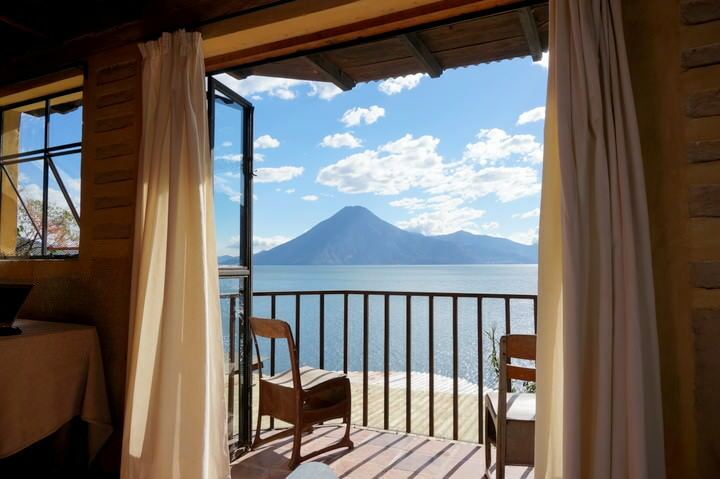 Beautiful rooms especially the lakeside casa, beautiful beaches, truly an amazing holiday destination. Goodluck in Japan, Keep sharing. Thanks for great sharing! The rice paddies look like those in Vietnam 🙂 However, Bali is truthly a wonderful place to live and work! Looking forward your next sharing! Good luck! 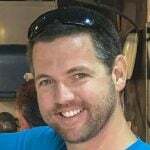 Great article! Very in-depth, very helpful! I was wondering, which website did you book your villa through?